Last week, we told you that after reportedly struggling to co-exist in the secular music industry and the church world, Ma$e had abandoned his post as Pastor at the El Lyon International Church to return to rap full-time. But is his decision to sever ties with the ministry reflective of an even bigger decision to denounce the Christian faith? While the answer to that question remains unclear, Uproxxx is reporting that this past weekend, the rapper-turned-preacher-turned-rapper partook in a celebration to formally celebrate his leaving the church and possibly Christianity altogether. After doing some digging, we did uncover a couple of the flyers used to promote the event; however, we did not find any evidence that this event was being promoted as his official turning away from Christ celebration. In the same breath, we do have to say that it does appear that he indulged in many of the things he once preached against during the celebration—including posting up with half-dressed women. Fans took to Twitter with some interesting reactions regarding the celebration. 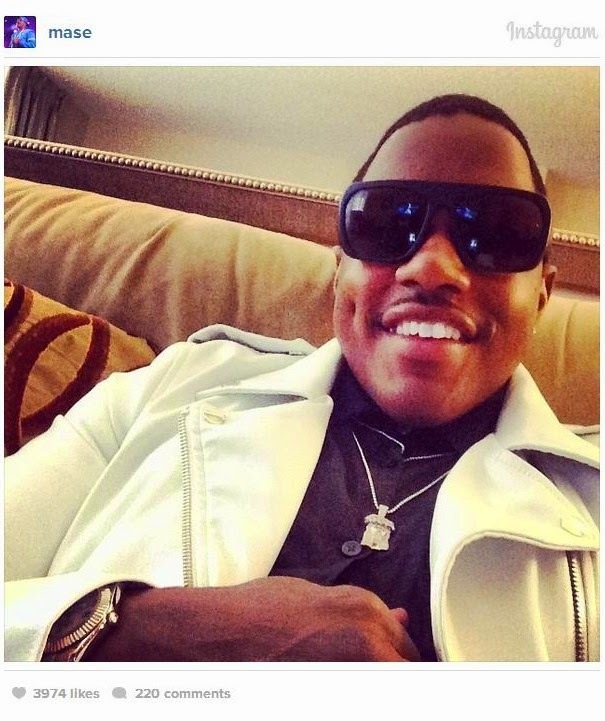 “Ma$e is all sort of confused right now,” one fan tweeted. “ma$e going to hell, dawg. like if there is a hell, he in vip standing on couches, getting bottle service bruh,” wrote another. Though we can’t confirm whether or not last weekend’s “welcome back” celebration was in honor of Mase’s alleged attempt to kick the Lord to the curb, his lifestyle seems to be sending a very loud and clear message. He’s currently preparing to perform at a party next week hosted by Mr. Freak Nasty himself, Uncle Luke. Not to mention his new single, “Nothing,” which includes profanity and explicit sexual references. 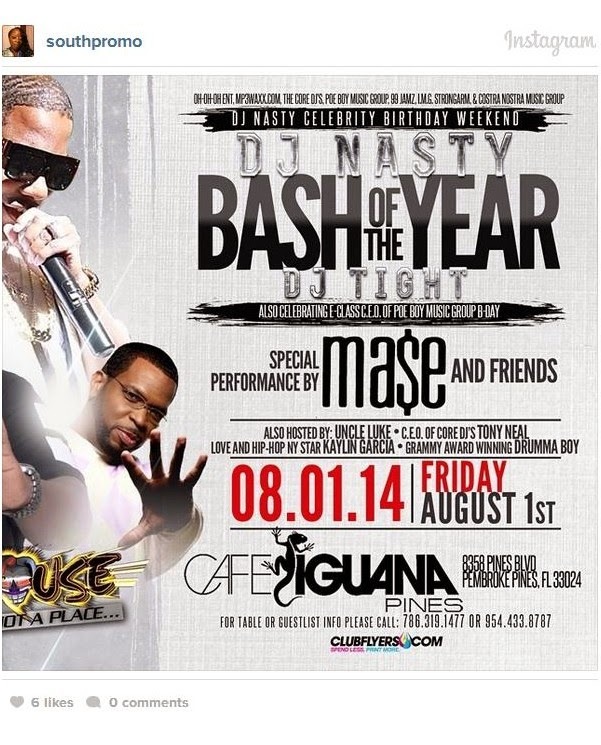 To each his own I suppose, but it will be interesting to see how successful Ma$e’s return to hip hop will be and whether or not he will eventually find his way back to the church.